Although notorious for its troubled production, The Evil Within is an absorbing and dark, cerebral fantasy that demands to be seen. The Evil Within tells the story of Dennis, a lonely, mentally handicapped man who lives with his brother, John. When John brings home an old antique mirror, Dennis immediately doesn’t like it but reluctantly begins to befriend his reflected image, a demonic figure that tells Dennis to single handedly kill one by one the people he loves most. The movie throws itself onto the viewer with confidence from the opening scene; a surreal sequence aided by voice over that lets it be known you have to pay attention. The Evil Within is largely told from the perspective of the main character, Dennis. In fact, most of the time we are experiencing what’s going on inside his mind in what is ultimately a character study. The Evil Within is an unique and sad story that drips with a nervous tension. You get the feeling something could happen at any moment, but you don’t know what. It’s creepy, unsettling, sad and strangely beautiful. There are several sequences that boast frightening, nightmarish imagery along with great camera work that captures reflections and distortions in mirrors. 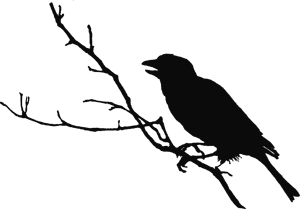 The film seems obsessed with the co existence of good and evil and has the running theme of a mirror can hold two separate images but we can see only one at a time with our eyes. Frederick Koehler is fantastic portraying both sides living inside of Dennis. The journey of the evil within slowly invading and corrupting the innocent part of Dennis is both heartbreaking and fascinating to watch and Koehler just absolutely nails it in his performance. His switching between characters with quick vocal and physical transformations are very impressive and he manages to portray both characters evenly throughout the film. Sean Patrick Flanery is also good as John, the overworked and stressed older brother forced to care for Dennis. There’s an interesting parallel between the two brothers. As John is losing his identity caring for Dennis, Dennis is finding his within the mirror, for better or for worse. Michael Berryman is perfect as the evil incarnate within the mirror. Thanks to The Hills Have Eyes, Berryman is horror’s familiar Boogeyman, and seeing him here was like remembering a scary dream as a kid and feeling the fear all over again. His staring, unblinking eyes are scary, hypnotic and unsettling. The story behind the making of The Evil Within is an interesting one. Writer and director Andrew Getty labored on his passion project for an astounding 13 years, with stop and go filming from 2002-2008. He spent years editing it, attempting an impossible perfection. Getty passed away in 2015 with a still unfinished cut. The film was finished to the best of its ability and released this year on digital platforms. This troubled production does cause some considerable misfires in the film. I clearly noticed different hair lengths on Flanery between some scenes, but it is the end that suffers the most. There’s very awkwardly edited and written scenes towards the end in a hail Mary attempt to tie things up. With a bizarre new character being introduced in the final act and conclusions being drawn and then re-drawn all in the same scene, it’s an unfortunate and very messy little bit of the film. Overall, ‘The Evil Within’ is a mostly carefully paced and hauntingly focused character study with slasher and supernatural undertones — all leading to a twisted and bizarre freak show of an ending that was both unexpected and entertaining. Definitely give this film a watch. There’s a ton to like here, with a great story and a lot of unforgettable imagery that will please horror fans. 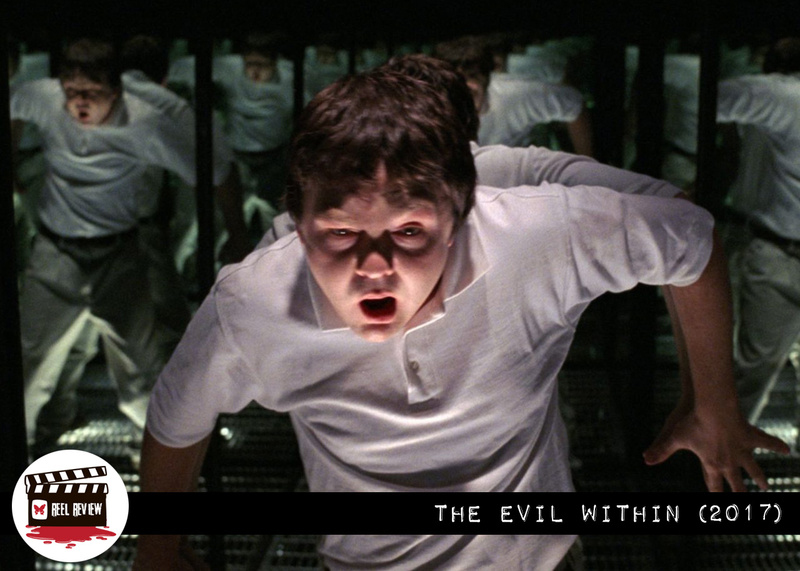 To read an in depth account of the troubled production of The Evil Within and the troubles of writer and director Andrew Getty, check out this article at Blumhouse. Want a second opinion? Click here to read an alternate take on The Evil Within.